It is widely known that black carbon, or soot, aerosol particles emitted from South Asia are spread across the northern Indian Ocean during the winter monsoon season. Three Scripps UAS aircraft - one carries an aerosol/radiation payload, one carries a cloud microphysics payload, and one carries a turbulent moisture flux payload. 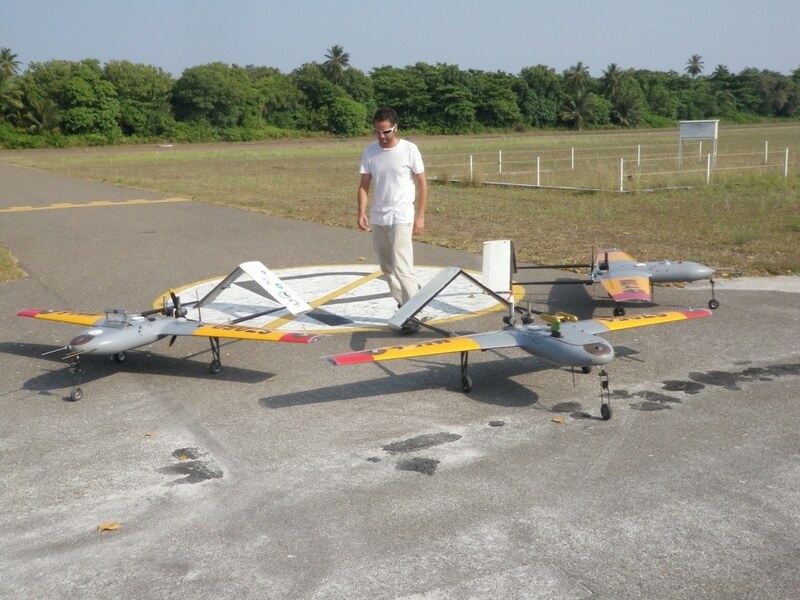 Aircraft data was combined with ground measurements obtained at the Maldives Climate Observatory on Hanimaadhooa, a background site for atmospheric and climate studies in South Asia.